On Tuesday February 9th. 2010 it was my 88th. birthday, and we celebrated at my eldest daughter Jayne's home with a lovely dinner with my family, and 6 other friends. 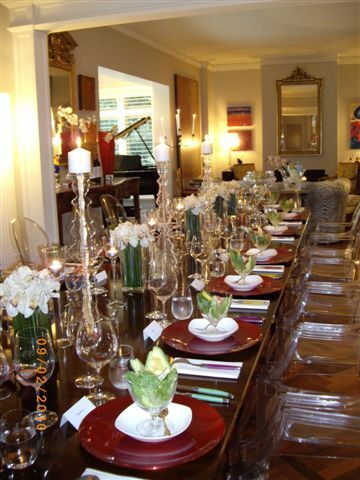 Here is the table setting at her home before we all sat down. It really was a wonderful night!